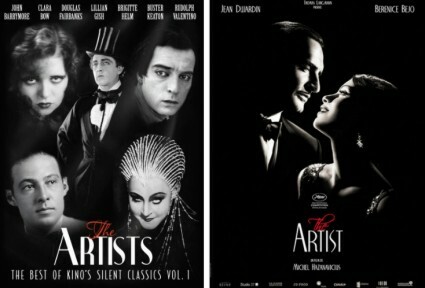 Daniel Eagen at the Smithsonian’s rather fine Reel Culture blog takes a wry look at the impassioned debates both The Artist and Hugo have caused, viewing with amusement both those instant experts on silents who have hitched onto the bandwagon and the ‘film geeks’ who are agonising over the fine details. 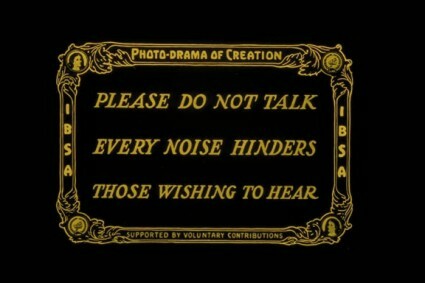 What is it that is so different about silent films? Eagen suggests that there probably isn’t anything different at all. Maybe they are just films, much like films of today. Read more. 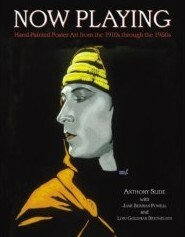 The schedule for the Toronto Silent Films Festival (one of the newer festivals out there) has been published. Lined up include Clara Bow in Our Dancing Daughters (1928), Murnau’s Tabu (1931), Rudoph Valentino in Blood and Sand (1922) and E.A. Dupont’s much-cited but not all that often seen Variety (1925). The festival runs 29 March-3 April 2012. Read more. New York Public Library is currently hosting an exhibition on promotional and distibution materials from the silent era, entitled “The Birth of Promotion: Inventing Film Publicity in the Silent-Film Era”. The exhibition runs until January and has a cheerful promotional video. The New York Times has a fine survey of the exhibition and history its documents. Read more. The San Francisco Silent Film Festival and the Pacific Film Archive in Berkeley are putting on a series of silent films devoted to aviation in its broadest sense. “Dizzy Heights: Silent Cinema and Life in the Air” takes place 23-26 February 2012 and has been imaginatively curated by Patrick Ellis, with such titles as High Treason (UK 1929), A Trip to Mars (Denmark 1918) and rarity The Mystery of the Eiffel Tower (France 1927). Read more. Kino has been doing a great job releasing Buster Keaton’s work on Blu-Ray. Their latest release is Seven Chances (1925), with its Brewster’s Millions-style plot (Buster must marry before 7pm to inherit $7M) and the famous scene when Buster is pursued downhill by an absurd number of boulders. This ‘ultimate edition’ is of especial interest for including the film’s two-colour Technicolor opening sequence. It also comes with the classic shorts Neighbors (1920) and The Balloonatic (1923). Read more. A sixth item for once, and it’s another Kino release, this time a boxed set of some of its silent classics cheekily packaged to look like the poster for for a certain Oscar favourite and entitled The Artists. Full marks to somebody in their marketing team for the sheer nerve of it. Read more. All these stories and more on our daily news service. I’m going to revisit the subjects of a few of the earliest Bioscope posts, way back in 2007 when the reading figures were not high and consequently resources were highlighted which may have been missed by many. Also the writing was more sparse in those days; now we wax lyrical. So, first up is George Eastman House’s Pre-Cinema Project. GEH has published relatively small samples from its vast photographic collections, as and when it digitises them, presenting them collectively as a ‘digital image sampler’. The Photography Collection Online site, of which Pre-Cinema Project is a part, could not be more plainly presented, but what it lacks in web design it more than makes up for in richness of content. The Pre-Cinema Project itself is dedicated to ‘Images of media and devices used before motion picture film’, though in fact there is more there than pre-cinema images. You will find a fine selection of magic lantern images, including photographs of lanterns, magic lantern slides, toy lantern slides, a Muybridge Zoopraxiscope disk, slip slides, paper silhouette slides, and the dauntingly-named megalethoscope slides. There are children’s tales, travelogues, and slides depicting Shakespeare’s plays. But what you wouldn’t know about from the pre-cinema name is the sub-collection of movie-related lantern slides: slides used in film shows, including announcement of forthcoming attractions, song slides, slides from the multimedia Christian show The Photo-drama of Creation, and slides passing on messages to the audience. Unfortunately none comes with any catalogue data, and it doesn’t look like the collection has been added to since 2007. It’s well worth checking other parts of Photography Collection Online for material related to cinema: for instance, lantern slides, stereo views, selected cine cameras and especially Coming Attraction slides – a large collection of slides advertising forthcoming films. More recently George Eastman House has added a new image licensing section to its site, which has more of interest to us. It makes available images which can be licensed for educational use and scholarly research, publishing, advertising and so on. The ‘thumbnails’ provided are somewhat larger than thumbnails, making this a handy research resource in itself, and among the collections is Turconi Frame Clippings, a collection of two- or three-frame clipping from early films made by the Italian archivist Davide Turconi. They are a mixture of French, Italian and unidentified. As well as being beautiful in their own right, they provide a good opportunity for looking up close at perforations, frame-lines, edge lettering, and so forth. This is just a small sample from the substantial and important Turconi collection of up to 20,000 clippings covering films 1905-1915, many of them hand-coloured, which is undergoing preservation in a joint programme between George Eastman House, the Cineteca del Friuli, and the Giornate del Cinema Muto. Most come originally from the collection of films collected by Swiss priest Joseph Joye which was discovered by Turconi and is now held by the BFI National Archive. More information on the project can be found here. For decades lobby cards were an integral part of the cinema-going experience. While posters appeared outside the cinema to lure you in, the cinema lobby or foyer would house sets of cards – effectively mini-posters – usually arranged in grid form, promoting films on show and films to come. Lobby cards played an important part in making the very process of going to the cinema something special. Though they had been replaced by plain black-and-white stills by the time I started going to the cinema, you still scanned the forthcoming attractions with delighy, like being in a sweetshop or a toyshop, each image extraordinarily filled with promise as you lived out the drama it depcited in your mind’s eye. You saw an entire film bound up in a single, evocative image. Expectation has always been the engine which has kept the cinema going. Lobby cards appeared in the 1910s, produced first in sets of four, later usually appearing in sets of eight, and acquiring colour by 1917 (even if the films were black-andwhite they were neverhtless promoted in colour). The standard size was 8″x11″, and they would be shown on free-standing boards or easels, or else framed on the lobby walls. They have become a favourite subject for collectors, and they record not only the emotional import of films but frequently document films that do not survive in any other form. They ceased to be produced for American exhibition at some point in the 1980s (around the time that multiplexes became the norm), but still get made for film exhibition in other territories. 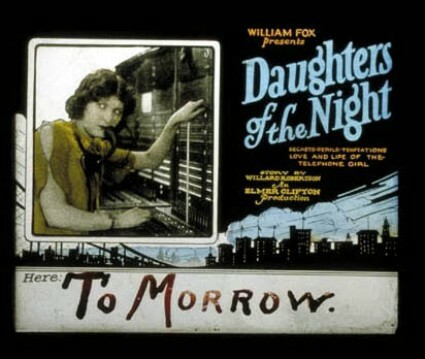 All of which is premable to the bringing to your attention of the Western Silent Films Lobby Cards Collection, part of the digital library of Yale University’s Beinecke Rare Book and Manuscript Library. The collection comprises 86 lobby cards and 19 printed fliers used to promote sixty-eight silent Westerns produced between 1910 and 1930. Each image is available as as thumbnail, then x4 and x8 size, plus a zoomable file if you have the right softare for viewing .sid files. The descriptive data is meticulous if dry, telling you all about the card but nothing much about the film that it promotes. Nevertheless, the site a delight to browse. 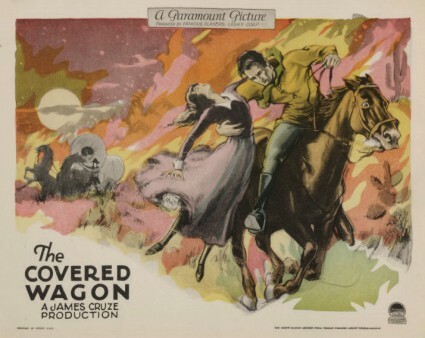 The films featured include The Mollycoddle, The Covered Wagon, The Bronc Stomper, The Pony Express and The Thundering Herd, with stars such as Tom Mix, Hoot Gibson, William Farnum and Fred Thomson. The collection is part of the Yale Collection of Western Americana at the Beinecke Rare Book and Manuscript Library, and to discover more about the broadcder contexts in which the silent Western sits, do try out other image sets from the Western Americana collection, such the Detroit Photographic Company’s Views of North America, ca. 1897-1924, Ruckus! American Entertainments at the Turn of the Twentieth Century or Mammoth Plate Photographs of the North American West. My thanks to Brad Scott for bringing the collection to my attention. We soon found out, however, that we were altogether too scientific in our entertainment. The average person could not promounce the word “kinematograph,” and, if they could, it conveyed nothing to them in the way of entertainment. They all thought it was something educational, and in those days, as to-day, the public would not pay to be educated when they wanted to be amused, and so, after three months’ touring, we returned to London sadder but wiser men, and in the process of gaining wisdom, we lost our entire capital. On the last day of the old year 1896, three unhappy men met to discuss ways and means for carrying on or closing down – the three men being J.D. Walker, J. Mackie and E.G. Turner. Mackie was demonstrator or operator, Walker was lecturer, and myself manager and treasurer – the latter office being a mere sinecure, as there were no funds to treasure, and I had to draw upon private means to pay our way. As the bells announced the birth of a New Year (1897), we closed the books of the North American Animated Picture Company [and] reorganised our finances by my agreeing to provide £100 (which I hoped to borrow and which I succeeded in doing). 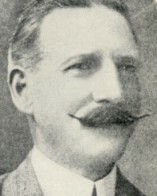 Walker agreed to take half-share, and pay for his share as and when the business permitted, and Mackie withdrew as it looked an almost hopeless proposition. Our policy was now altered: instead of spending a large amount of money in circularising all the best people in the towns and villages, by means of very good stationery, excellent printing and sending and sealing our letters with a penny stamp so as to attract the attention of the recipient, we went for the working classes. The results of our fresh policy was that, when the performance began, we had two or three people only in the stalls, our chief patronage came from the cheaper seats. So we decided to stop playing to the stalls, and in future to play to the gallery. From this date we were known as Walker and Turner. On January 1, 1897, we visited the Central Working Men’s Club and Institute in Clerkenwell Road – had an interview with the entertainment secretary, who gave us an engagement for the following Saturday night, provided we gave a show of one hour’s duration for the magnificent sum of 30s. As we had to find two cylinders of gas, and get our apparatus to and from the hall, also take two men to do the job, one will understand that it was not a profitable transaction, but the secretary personally promised us that he would send round a letter to secretaries of all the clubs in London, invite them to be present, and if our show was all we claimed it to be, there were prospects of good bookings to be obtained. The secretary carried out his promise, and on Saturday night, when we arrived to do our show, the hall was packed to suffocation. The pictures projected were most enthusiatically received, and after the show was over we had the satisfaction of booking up dates amounting to over £200. As we executed these dates, which were all close, others rolled in upon us from all parts of the country, principally from working men’s clubs, and that was the first step towards success; in three months our business had grown to such an extent that we had two machines operating. Turner now moves on to some of the strategies of exhibition in the 1890s, interestingly revealing that gaps in the programme and the common practice of running films backwards were employed to spin out meagre, expensive films. He then describes the innovation in film business practice that he was central in introducing – renting, or film distribution. In those days we were paying 1s. per foot for our films, the average length being 500 feet. It will, therefore, be understood that the cost of running an hour’s programme was very expensive. It is true that to eke out our meagre supply of films we used to take a minute or two between the change, and further, we had what was known as a reversing prism, and, after we had shown a film through, e.g., “The High Divers at Milan” (which was a very effective subject for the purpose), we would then rewind the film, put it through the machine backwards, and, by means of the prism, instead of the man diving into the water from the high diving boards, there would be a splash of water, out of which the man, feet foremost, would come and go back on to the diving board – in fact, the whole subject being reversed. This used to create not only great amusement but wonder as to how it was done, and used to help us very considerably in making our programme last out the necessary time. And if they applauded, well, on went the film a second time. The price of films quickly dropped from 1s. to 8d. per foot, and then became standard at 6d. a foot; this allowed us to increase our store, but it soon became evident that to have to provide new films every time we took a repeat engagement was too expensive. So we conceived the idea, first of all, of an interchange of films with other exhibitors, who experienced the same difficulties in regard to new supplies. From this we eventually evolved the renting of films to other people, because we found that we had by far a larger stock than any of the other men. By buying films regularly we could use them ourselves and hire them to the other people, and so in such small beginning was evolved the great renting system as known to-day. At the end of 1897 we had three machines working. Walker operated one, myself the second, and the third was handled by Mrs. J.D. Walker, though a man went with her to fit up and do the donkey work. Mrs. Walker handled the mixed gas jet and operated, and she can claim without fear of contradiction to be the first woman operator in the world. She is still in business as managing director of the Empire cinema, Watford. Was the redoubtable Mrs Walker the ‘first women operator in the world’? The evidence of the 1901 census, as reported in a recent post, shows that there were certainly other women operators around at the same time. More investigation is needed. 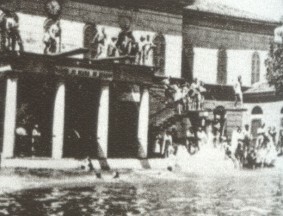 ‘The High Divers of Milan’ is Les Bains de Diane à Milan (1896), Lumière catalogue no. 277, and is illustrated above. Reversing prisms, which were fitted onto the lens, were available from equipment suppliers at the time. They were used when film could not simply be reversed by cranking in the opposite direction i.e. 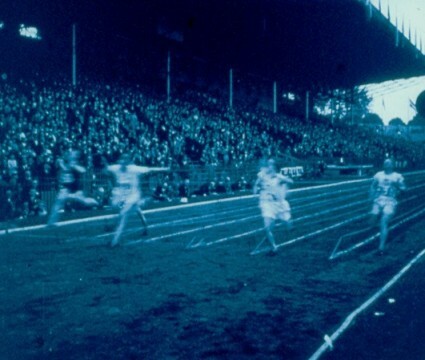 the film had to be re-threaded in reverse, with the prism necessary to turn the image the correct way round. Is that a correct explanation, you experts out there? The information gathered will be used to create the first-ever online database of moving image and screen-related objects in UK collections. Behind this activity lies a definition of ‘screen heritage’ which goes beyond moving picture to encompass the machinery that produces and exhibits them, the culture that supports them, and a notion of ‘screen’ that extends beyond cinema and television back to magic lanterns and forward to video games, consoles and the handheld technologies of today. So the survey, in looking at artefacts, is concentrating on just a part of this vision of what ‘screen heritage’ comprises. It’s all most appropriate to the study of silent cinema, and where silent cinema fits in within the broader scheme of things. Do take a look at the project site, and if you know of a museum or other heritage organisation within the UK that ought to be taking part, and which we may have missed, let us know. The founders of the Walturdaw Co. Ltd., of whom the successors are the Walturdaw Cinema Supply Co. Ltd., were E.G. Turner and J.D. Walker, and the month of August in the year 1896 saw the beginning of their activities in the kinema industry when they purchased their first machine from John Wrench and Sons, of 50, Gray’s Inn Road. At this time there were only two other makers of machines in the world’s market: R.W. Paul, of Hatton Garden, and Lumière, of Paris. Within a short period, Beard, of old Kent Road, Haydon and Urry, of Islington, Hughes, of Kingsland Road, Levy Jones. of Hoxton, Reay, of Bradford, Thomassin, Ottway in St. John Street, Islington. 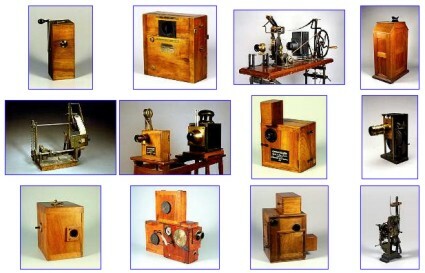 Later the Edisonagraph, Mutoscope American Biograph and Pathé came into existence. At this period our office was at my private address at 111, Great Eastern Street, E.C., and we started out under the grand title of The North American Animated Picture Company. Our entertainment consisted of animated pictures, and Edison’s phonograph. Our first poster invited the public to view “The World’s Wonder – THE CINEMATOGRAPH, by which the Public would see Trains in Actual Motion coming to rest at Platforms and Passengers Alighting – Trees Gracefully bending in the Wind – Waves breaking on the Sea-shore, and the Fattest and Thinnest Wrestlers in the World would go through their Performance in Animated Photography – Also Edison’s marvellous invention, the giant Phonograph”. We invited the public to come, and not only hear this instrument, but have their voices recorded and reproduced before the audience. For our first display we hired the hall adjoining the Constitutional Club, Guildford, from Monday, November 16, 1896, our takings that night being £8 1s 1d. the intervening days up to Friday, November 20, were used in posting our bills and distributing handbills from door to door at Godalming, ready for the show to be given there on that night. The display was duly given, our receipts being £7 4s 6d. The show went well and we were told that if we stayed and gave another show on the following night, Saturday, we would do well. We returned to our diggings, and there I found a telegram awaiting me, telling me of the arrival that night of a new addition to my family – a bonny girl – born at 8.30, whilst I was actually showing our films in the Public Hall, Godalming. I believe the name of Godalming means “The Gift of God,” and so this child of mine makes it impossible for me to forget my entry into the kinema world; and she can truly be described as a child of the kinema. All her life since leaving school has been spent in the industry, and she, with her husband, now are in charge of a very sucessful little kinema in the country. So we thought our luck was in, and we decided to stay anoter night to celebrate the event – but how to let the public know? Mr. Walker, always a man of brains, and being handy with paper and scissors, cut out in white letters the necessary announcement, and I next morning made a frame 3 ft. wide and 12 ft. long, with handles at each end, covered it with turkey red, pasted on the white letters, and there was our advert. ready. I got two lads to carry it about the streets, telling them to go anywhere where people were to be found. A 2 o’clock, while standing outside the hall, we heard strains of a band playing the “Dead March in Saul” – it was a military funeral; it passed by us – first the band, then the body, the mourners walking behind – and directly behind them as part of the procession were out two lads and out advertisement! Nothing could be done without creating a scene, so we let them pass on. Later, in very cross tones, I asked them why they had done such a thing, and their reply was “you told us to go where people would see your notice, and everyone in Godalming has seen it now”. Anyway, we took £7 that night! Beard is Robert Royou Beard; Reay is Cecil Wray. For a rough equivalent of present day prices, multiply the figures Turner gives by 100. The baby girl’s name was Ethel. Next up, the films that they showed. Now Playing is the title of a book and an exhibition on the hand-painted movie poster. The book is by Anthony Slide, Jane Burman Powell and Lori Goldman Berthelsen, and its full title is Now Playing: Hand-Painted Poster Art from the 1910s through the 1950s. The beautifully illustrated book cover the history of posters which were commissioned by individual cinema theatres and theatre chains, and celebrates the work of artists most of us have never heard of, such as Batiste Madalena, Ike Checketts, O.M. Wise and R.J. Rogers. There’s a really interesting interview with Slide, one of the most prolific and knowledgeable of silent film historians, on the Alternative Film Guide. Some amazing research has clearly gone into recovering a lost history of promotion and extraordinary artistic vision. The book is complemented by an exhibition of original hand-painted movie posters at the Linwood Dunn Theater, at the Academy of Motion Picture Arts and Sciences’ Pickford Center for Motion Picture Study in Hollywood. The exhibition is entitled Now Playing at the Dunn, and it looks gorgeous. Some new additions to The Bioscope Library. A prominent theme in the silent era was the use of films in education. It was driven by a mixture of idealism and commerce, but mostly by the evident appeal that motion pictures had for children – a challenge to authorities in every sense. 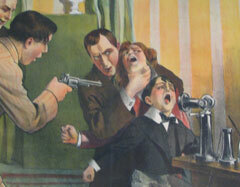 An enthusiastic period in the 1910s, when many advocated the motion picture as an essenial tool for educating the young was followed by a period of experiment and analysis in the 1920s, determining the pedagogic value and the pitfalls. Many specialist producers in educational film then sprang up, exploiting the new 16mm film format for non-theatrical exhibition, riding on the bandwagon of what was labelled Visual Education. Ernest Dench’s Motion Picture Education (1917) is a rambling but enthusiastic guide, which considers the potential for film to teach history, arithmetic, natural history, domestic science, even handwriting. There is some grasp of the theoretical side, and warnings that film is no substitute for text. Dench reveals how the great passion for films among young audiences was taxing authorities, which sought to master a medium they did not fully understand. It’s available from the Internet Archive in DjVu (5.3MB), PDF (43MB) and TXT (351KB) formats. Don Carlos Ellis and Laura Thornborough’s Motion Pictures in Education: A Practical Handbook for Users of Visual Aids (1923) is one of the standard guides of the period. It is designed as the essential handbook for the teacher needing to the how and why of using film in the classroom. In good common-sense fashion it covers the history of educational film, the objections raised against its use, the advantages of using the medium, the kinds of films available, the practicalities of exhibiting them, and examples of their successful use. It’s available from the Internet Archive in DjVu (7.2MB), PDF (34MB) and TXT (515KB) formats. Also in an instructional vein are two further books added to the Library. The year before his book on education, Ernest Dench wrote Advertising by Motion Pictures (1916), a fascinating, if discursive guide to the potential of the motion picture for purposes of advertising. Dench covers the selling of railroads, food products, agricultural machinery, shoes, real estate, newspapers and dry goods through motion pictures. He covers different approaches for different kinds of audience (working classes, farmers), and different media, with particular attention given to the use of advertising slides. Some of it is aimless speculation, like the chapter on naming soda fountain concoctions after movies, but its enthusiasm is appealing and it paints a useful picture of they ways in which the cinema industry engaged with the American audience in the early years of cinema. It’s available from the Internet Archive in DjVu (5.2MB), PDF (23MB) and TXT (207KB) formats. Lastly, there’s Hugh C. McClung, Camera Knowledge for The Photoplaywright (1920). This pamphlet offers a simple guide to the technology and practice of cinematograph for the would-be writer of screenplays. McClung was a cinematographer himself, with Gaston Méliès, Willian Fox, Triangle, Douglas Fairbanks and Famous Players-Lasky. The chief intent of the booklet is to make writers “think in pictures,” and in between the general pleas for appreciation of the hard work that went behind the making of pictures, there are some interesting anecdotes which bring to life the practicalities of the business. Available from the Internet Archive in DjVu (604KB), PDF (2.2MB) and TXT (37KB) formats. The Museum of Modern Art in New York has an exhibition of posters for silent films, Sensation and Sentiment: Cinema Posters 1912–14. It runs May 23–August 27, 2007. 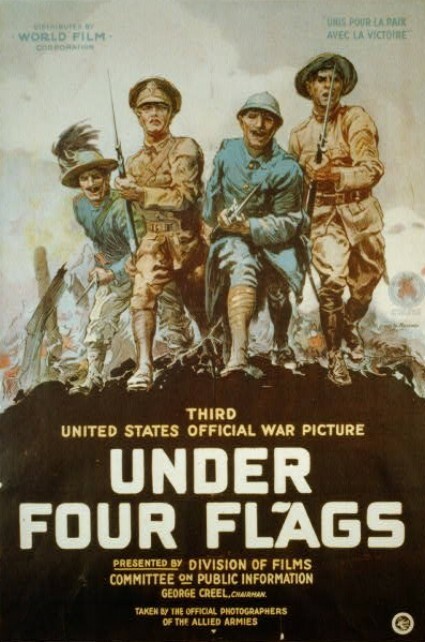 The posters come from the renowned collection of Dutch film distributor Jean Desmet (1875–­1956), and advertise American, British, Danish, French, and Italian films dating from 1912 to 1914. The exhibition also has rare photographs documenting the earliest sites of film exhibition in the United States. The exhibition is accompanied by a related film series in July and August. The wonderful poster above for Bout-de-Zan et le crime au telephone (1914) is all that’s illustrated on the website, alas.